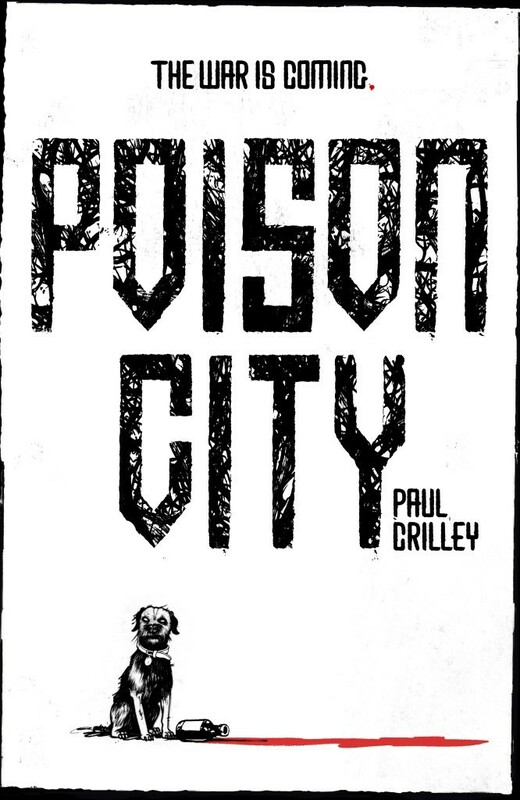 Poison City (by Paul Crilley) reads a bit like Rivers of London books by Ben Aaronovitch and a twinge like Charles Stross’s books about The Laundry. Probably more former than latter. And, perhaps, with a dose of Hellboy and Night Watch thrown in for good measure. Gods, monsters, vampires, spirits, angels, demons, fae, and worlds outside our own, mixed up with folklore and mythology from across the world. Set against a South African backdrop, I’ve really enjoyed the first 200-pages of this book – despite my desperately poor reading speed and diabolical reading average this year. I borrowed this from the library – as you can only get a hardback at the moment, following a release earlier this year – and I’m on my third renewal. I need to do better. I need to stick to the 25-pages of book a day target I intend for next year, but might as well get on with now. In the Goodreads Book Challenge, my effort stands at 3 books finished for 2016. I think that’s selling me short, but it might be right for whole books read. I need to find a way to account for articles, short stories, novellas and so forth. It’s all words and pages; all fodder for the creative process. Gideon Tau works for the Delphic Division of the South African Police Service, dealing with complex and dangerous occult investigations. He has little support, aside from a cantankerous DCI from Yorkshire and a drunk canine spirit guide, but somehow he gets the job done – and that despite only a tenuous grasp of magic bordering on the amateur. While others in the Division have specialised, Tau’s grasp of ‘Shinecraft’ still relies on a physical focus – a wand – and sometimes he makes really bad decisions that land him in deep trouble with the wrong kind of entities. All very entertaining and fast-paced. Feels a bit like an origin movie at the moment, skirting over a lot of ground with scant detail. The occult world holds a lot of surprises and here we glimpse dozens of them, with the lingering promise of many more books in a series somewhere ahead. I can see potential in using this as the backdrop for a roleplaying game – Night’s Black Agents, World of Darkness or, probably, something driven by Fate. Light on magic, high on action, investigation and peril from entities beyond mortal ken. The Esoterrorists might work as well – as you’ll be wanting to Veil Out most of the action and magic seems more dangerous than useful in the greater scheme of things. December 12th Update – So, I finished reading this over the weekend, having extended the renewal yet again. Liked this a lot. Definitely an “origin” book for the series and without spoiling anything, which is tough, Tau makes a ton of enemies in the latter half of the book. He makes enemies amongst his friends, colleagues, associate organisations, angels, orisha and others – directly or by the result of his actions. The state of play at the end of the books has multiple sequels splattered all over it with all kinds of angles – and I can see tabletop role play potential aplenty. Indeed, I can see even more potential now that I’ve finished the book than before. And angles on the world as well. You could have a ragtag group of player characters made up of Delphic Operatives, minor supernaturals, wing-clipped angels, soul-damaged mortals, and possibly even Fae (though I’m inclined to believe they have a sordid and dark road ahead of them in later books that might put them mostly off-limits). A game in this world would have all the repercussions of this book to deal with and still have a whole other world to consider. Poison City was released in August 2016 and you can currently grab a copy in hardback or on Kindle. It’s well worth your reading consideration and certainly something I will come back to and re-read; most likely I’ll re-read with the intent to run a game against the backdrop, probably with Hollowpoint or the Cypher system. Hollowpoint seems to fit for reasons that will become obvious as you read. The Cypher system with something dredged out of Gods of the Fall might work, too.